Garry is an active contributor to the debate on infrastructure governance and investment in Australia and globally. He is uniquely placed to challenge and shape the current and future agenda for cities, regional development and the role of government and the private sector in the provision of infrastructure services. 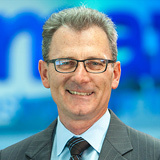 Garry is well known for thought provoking presentations, speeches and reports on the future of infrastructure that have been shaped from his unique balance of commercial and government experience spanning Australia, Asia and the OECD.